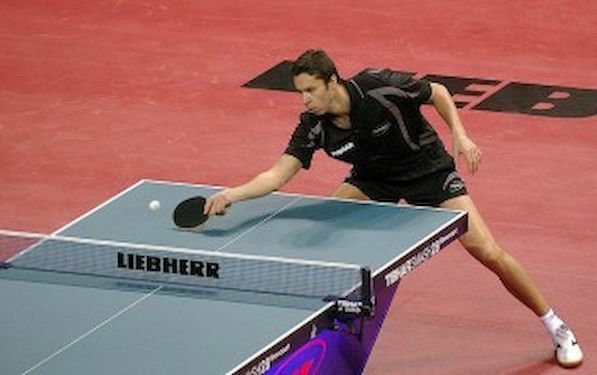 Vladimir SAMSONOV of Belarus, the no.2 seed, clinched the title in the Men’s Singles event at the GAC Group 2014 ITTF World Tour Belgium Open in de Haan. In the final he succeeded against the man who beat the odds. Simon ARVIDSSON, the 24 year old Swede, presently with no World ranking owing to a lack of international exposure, was his adversary at the last hurdle. In the final SAMSONOV recorded safe five games victory, after thrilling encounter in semis. One round earlier he was stretched to full distance against Portugal’s Tiago APOLONIA, the no.3 seed. Swede accounted for Niagol STOYANOV of Italy. In Women’s Singles Event Georgina POTA of Hungary clinched her first title. In January she reached first ever final in Hungary, whilst today she moved step forward. In the ultimate stage she beat Megumi ABE of Japan. In semis POTA, the no.4 seed, halted the progress of Megumi ABE’S compatriot, Kyoka KATO, the no.14 seed. The winners in Men’s and Women’s U21 Event are Stephane OUAICHE of France and Bernadette SZOCS of Romania. OUAICHE overcame Benedikt DUDA of Germany in the final, whilst SZOCS beat Japan’s Eka SO.